When people begin showing up for the opening, with wine in hand, saying complimentary things, congratulating you, it’s a grand feeling, for a couple of hours. It is wonderful, if stressful, to spend months getting ready for a show, have it be installed, and then have a big opening. You see old friends, talk about your work, get congratulated. And then…. it’s over. There is a post-opening grayness that settles in a day or two later. Getting back into the studio and trying to pick up where you left off just doesn’t happen, at least for me. That said—I’m immensely grateful and happy to have my recent work hanging in a beautiful gallery for six weeks, and it is a great feeling. (Of course, it would be icing on the cake to have the work sell.) But—getting back into the saddle is a challenge. Time to make new art. In order to make it happen…. (it’s inevitable….) it’s the perfect time to… clean up the studio. ’Nuff said. 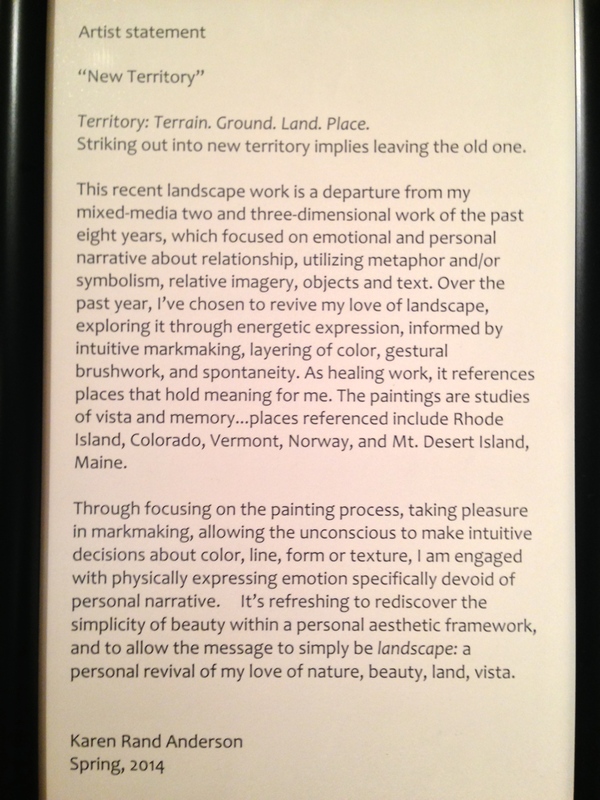 This entry was posted in Creative Journey, Exhibitions, Studio practice and tagged Alexey von Schlippe Gallery, art exhibit, art gallery, art show, beautiful gallery, beginnings, creative life, Karen Rand Anderson, studio practice, University of Connecticut. Bookmark the permalink. Wow, the space and your work compliment each other so well!! 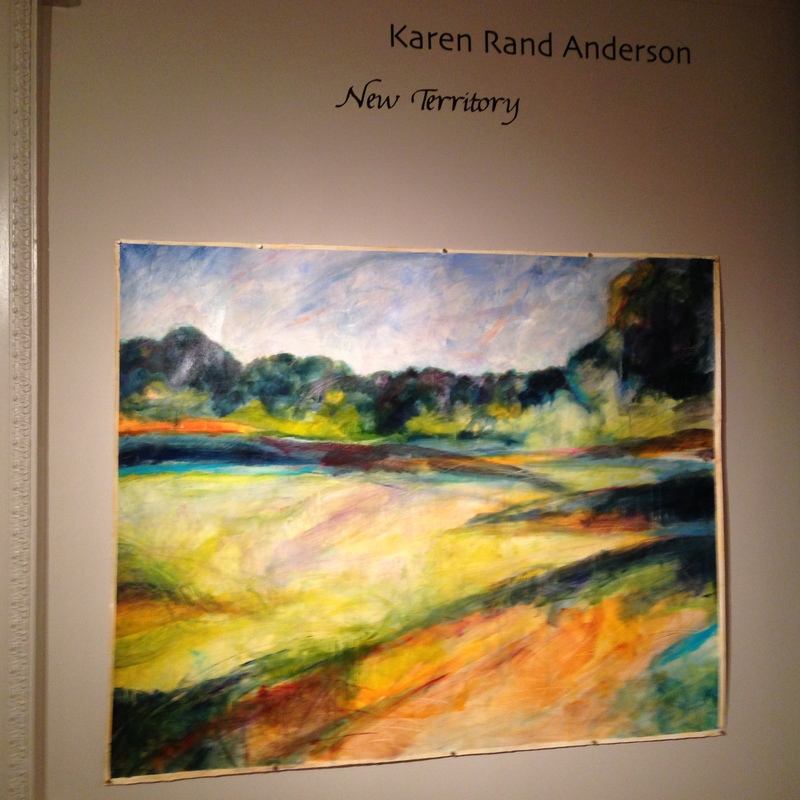 really wonderful Karen – the space looks beautiful and really compliments the work – which is stunning by the way, and has been thoughtfully hung. Time to breathe and contemplate the next step – every forwards. It would be interesting to learn how you selected the title for the exhibition and some other information on your relationship with the gallery in this process. Thanks.